Cilento, adventure weekend and low cost. Ideas for an adrenaline-filled holiday in one of the most beautiful places in Southern Italy. The Cilento and Valle del Diano national park. For an adventurous and fast mini vacation. Discover the typical Cilento food. Cilento is not just buffalo mozzarella, good wine and sea. In fact, it offers a world of opportunities for lovers of adrenaline and nature, thanks to the countless activities that can be carried out outdoors. Starting from 35 euros, you can fly like an angel, at high speed, connected only to a steel cable, between the emptiness of the mountains of Trentinara and Capaccio. 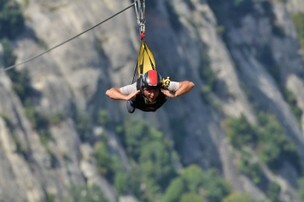 With one of the most beautiful zip lines in Southern Italy. 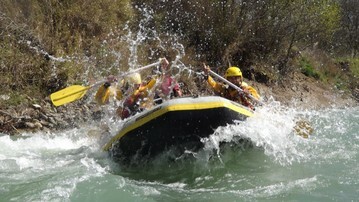 Starting from 20 euros, you can have fun in complete safety, with your friends challenging the currents of the Calore river. Starting from 80 euros, you can fly and admiring the plains of Paestum, the gulf of Salerno and the Amalfi Coast. You can enjoy a balloon flight with your friends, in the tranquility of the sky, flying over the plains of Capaccio, the archaeological area of ​​Paestum, you can admire the sea, Agropoli, Capri and Amalfi Coast. 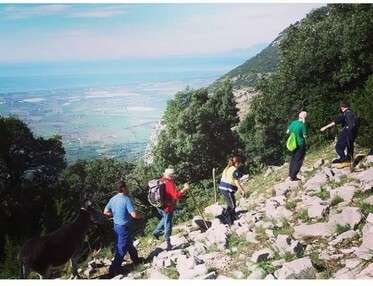 From 20 euros you can enjoy a 7 kms trek, you can walk the "mule tracks" on the hills of Capaccio. Included in the price, you will be offered a traditional Cilento breakfast and a lunch of vegetables and sheep's milk cheeses. 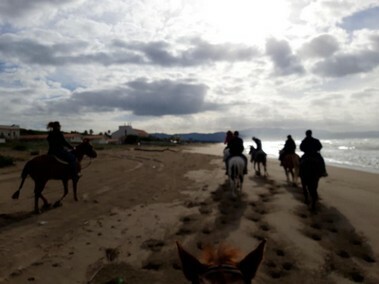 From 25 euros, you can learn about the fantastic world of horses, spend time with them and ride between the plains of Paestum and the wide beaches. Romantic people can walk on the ancient streets of Magna Grecia. They can visit the archaeological area of ​​Paestum by lantern light and eat a good artisan ice cream. For sea lovers, Santa Maria di Castellabate is the most beautiful destination, in the evening hours, you can walk along the seafront and visit a typical Cilento village. Also not to be missed is the magnificent castle of Agropoli, which can be visited through ancient streets, after admiring the view, the village of Agropoli offers a wide choice for all lovers of good food, in fact it is full of small but very nice restaurants, where you can eat and have a good pizza or make an excellent fish dinner.